We all see them and they make us cringe. They are the people that are so caught up in their own beliefs, whether whole-heartedly with an established religion or whole-heartedly against established religion, that they start pushing their beliefs on everyone they know and questioning anyone in their way. With the advent of social media, we’ve seen this interaction on the rise. People have more courage to be a-holes when they are typing their responses instead of saying them. Plus, things get lost in the text and translation and it’s a slippery slope to a non-stop loop of slander and defense. So, deciding to take courage to ignore said opinions and put my Faith into my business that is built for the online space is something that is pretty scary to do! I’ve opened up a few times regarding these fears that I’ve been able to overcome. And yet, at the same time, writing about my Faith is also kind of a “safe” way to be open about it. I have the protection of my screen blocking me from any riffraff. I can choose to read comments and respond or hit delete and move on! Alas, this past weekend when I had the opportunity to do some face-to-face interaction and opening up about my business and the Fit and Faith movement, I was nervous. 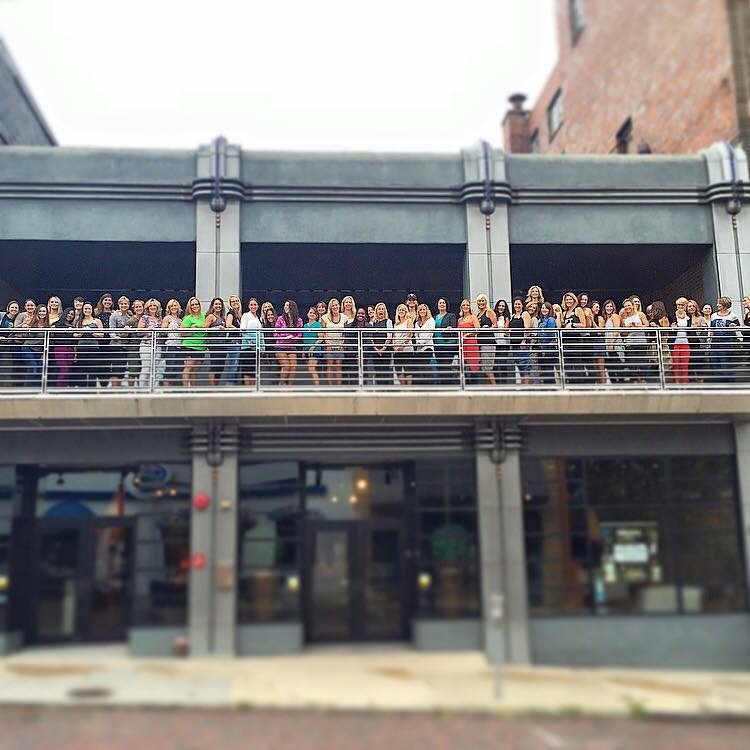 I was among 80+ other health and fitness female entrepreneurs attending the Best of You Coaching Club fitness retreat all the way in Asheville, NC. I have been in this group all year, but as it is a virtual coaching club with the majority of our interaction via Facebook, I had met only very few of the women in attendance before that day. As is customary, at the first session, everyone was asked to stand up, give their introduction about their business and tell what they’d like to learn over the weekend. I was nervous of course, because, well, #publicspeaking. But I was also really nervous because I knew I was going to be “breaking society’s rules” and attempting to do it face-to-face. In fact, my mentor herself has written that she is not a Faith-based person at all, which I totally get! Not everyone is where I am. Talking about Faith among other believers can be awkward enough, but putting it all “out there” to people who don’t share your faith is HARD. But I knew I needed to stand in my Truth. My Truth is that A. Wright Fit is not just a regular “I want to help women get healthy” kind of business. I know, that ultimately, I am in the life-changing business because I want to use Fitness as a way to help women grow into their Faith and a real relationship with God. Then I want to use their Faith to excel and balance their Fitness! 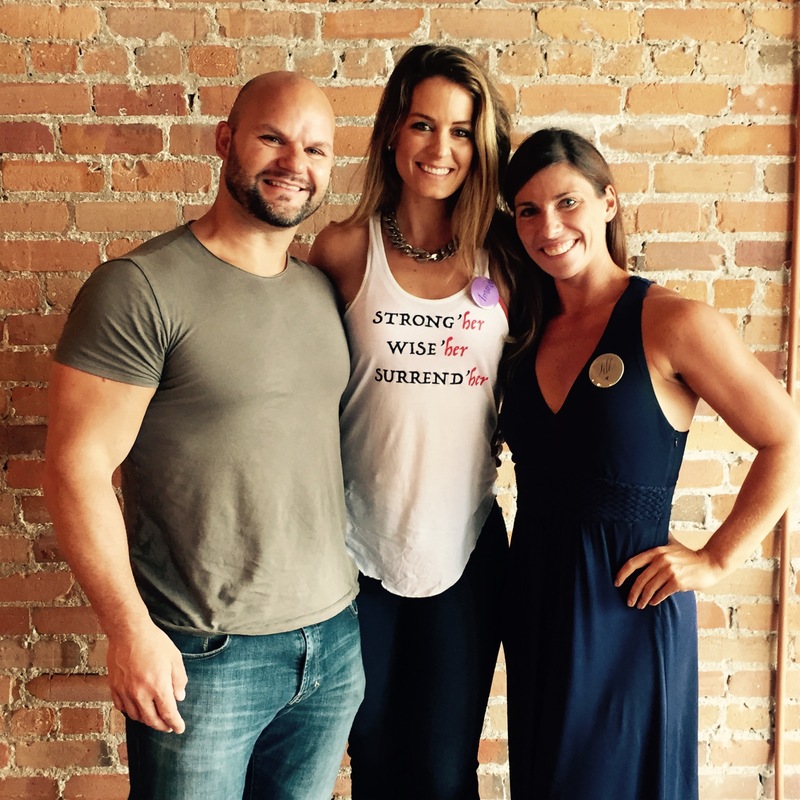 Me (center) with the married health power-houses, Jade Teta (Metabolic Effect) and Jill Coleman (Jillfit.com and my business mentor). I stood up smiling and said my piece, “Hi, I’m Amanda Wright, I own A. Wright Fit that is a Fit and Faith based company that I hope to expand and lead a Fit and Faithful movement.” I sat down and my heart was beating audibly in my ears. “Whew, I did it!” I thought. As I listened to all the other women, I realized, we all had different ventures (which is awesome!) but I was the only one that had decided to be combine Faith and Fitness. What happened was pretty remarkable. Later throughout the day, I had several women come up to me and talk about being Faith-based in this industry and give me such great praise for being the only one there that said anything about their Faith and business together. One woman told me she was in awe that I was willing to just be bold and say it because she had a hard time admitting to her faith in her business out of fear of isolating some clients. Another friend said the same thing, while she had one Faith-based component of her business, her main business aspect she wanted to pursue was outside of the Faith realm because she knew that so many people would be “turned off” by it and wouldn’t buy from her. Another woman said that she was not religious at all (she had had a bad experience growing up) but she really respected the way I went about my Faith and wrote about it too. Such amazing encouragement! Everyone had very valid points in their concerns! While I do not believe that it is necessary for everyone to make their “business” about their Faith like I feel I am called to do, all this does point the very real fear of breaking “Society’s Rules” that I mentioned before. This can go for ANY belief and stance in life, but specifically, I believe…. …as Christians, we fear the STIGMA that everyone thinks Christians are Self-Righteous A-Holes. I have admitted on this blog a few times that one of my biggest fears in starting A. Wright Fit was not about standing up to the non-Christians, but about standing up to the CHRISTIANS. To date, the only person that has ever “ruffled my feathers” over an article I wrote was in fact a Christian guy whom I agreed with on all of his points! But he still felt obligated to post some crazy offensive stories with some very defensive remarks that were pretty unwarranted. So all this to say, there is some legitimacy to everyone’s claims. There are some of the overly religious, overtly rules-based, sin-pointing, shame-inducing, types that are frankly, 100% WRONG, in how they approach and speak to anyone that does not yet have a relationship with Jesus. But you know what? Even though there are these extreme types, I want to make a stand and say it. NO! Not ALL Christians are Self-Righteous A-Holes! In fact, NOT MANY are. I don’t have hardly any Faith-based friends and family that are self-righteous because frankly, why would I be hanging around a person like that?! I realized that if I am hoping to start a Fit and Faithful MOVEMENT, which will highlight and celebrate everyone that is embracing their Faith in their Fitness, then we need to start the conversation about simply being BRAVE enough to admit to your Faith first! The reason why so many of my fellow believers don’t admit it is because of the STIGMA that society has given “religious” people. But the STIGMA is NOT TRUE in MOST CASES. 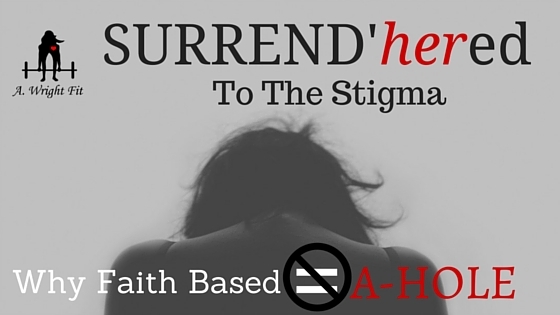 Fearing the stigma and shying away from the stigma does not make the stigma going away. 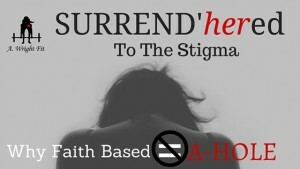 We must SURREND’her to the STIGMA and stand up for the truth! Faith-Based DOES NOT Equal A-Hole. Faith-Based means humble. Faith-based means kind. Faith-based means loving. Faith-based means passionate, strong, God-powered and centered. Faith-based means you know how screwed up you are, but you just serve a God that’s greater. If we can get over our FEAR of what everyone is going to *think* about us, than we can move on to freely do what we are set out and called to do, help those we love find God in their heart. 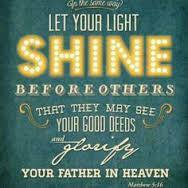 To, as is my Mission Statement and Life Verse says, “Let our light shine before others, so they might see my good deeds and glorify my Father in heaven!” (Matt 5:16). So, to prove my point, I’m going to a second-part of this series on the 5 Distinguishing Things I Did Last Weekend to Avoid Being a Faith-Based A Hole..
Be sure you check it out!